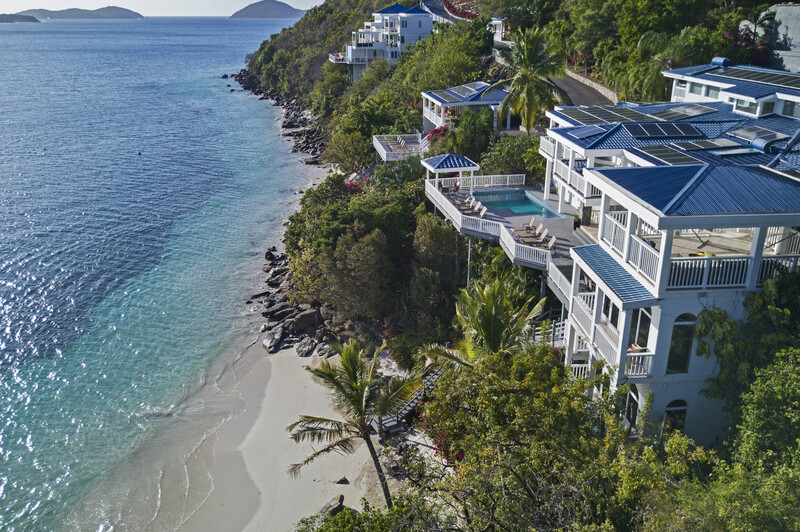 Experience the ultimate Caribbean vacation luxury - your own private beach! With its clear water, soft sand, and palm trees, Magen's Bay is commonly considered to be one of the ten most beautiful beaches in the world. 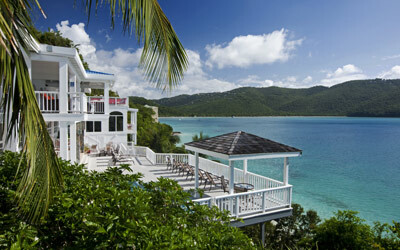 Sand Dollar Estate is the only St. Thomas villa rental with its own white sand private beach. This is the crown jewel of Sand Dollar Estate. 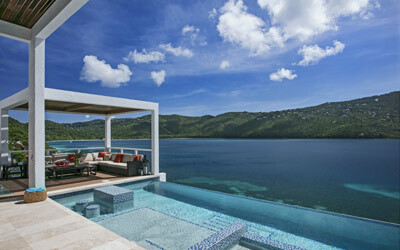 Directly beneath the villa's expansive deck, stairs cascade 35 feet below to the splendid private white sand beach. The easy steps down to the beach are punctuated by platforms which are perfect for resting and enjoying the lush trees and flowers. 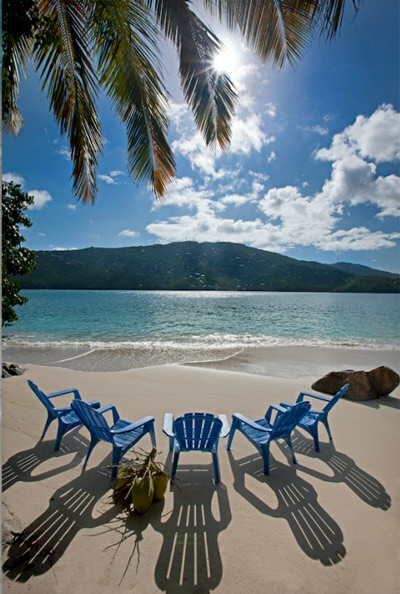 Contact us to arrange a dream Caribbean vacation with your own private beach on Magen's Bay.